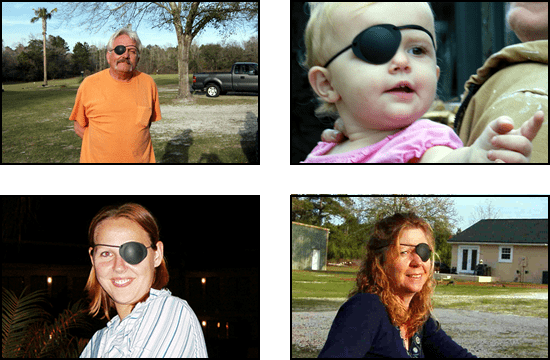 At The Best Eye Patch, our attentive staff is available Monday through Friday to answer your questions and ensure you are 100% satisfied. You will usually get a reply within 24 hours. Be sure to check the FAQ's for answers to the most asked questions such as size and fit with glasses. Or call Juley on her cell phone at 262-989-0297. Messages are answered as soon as possible. © 2010-2017 The World's Best Eye Patch. All Rights Reserved.